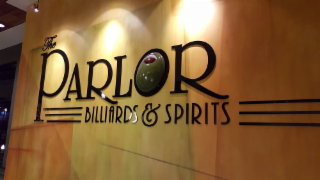 Parlor Billiards & Spirits is the #1 ranked billiard parlor in the country by Billiards Digest. 20,000 square feet accommodates up to 800 guests and is available for buy outs. At a cost $6 million, this upscale facility boasts 17 pool tables and 2 private billiard rooms which contain 3 tables each. These rooms can be rented for private parties. Serious players and novices alike will enjoy our full service pro shop. The Parlor offers convenient validated parking and free WiFi.